A very common condition that we treat at Splash Paws is arthritis. This is often a condition that affects but is not limited to more senior dogs. It can be debilitating, the same as in humans, and can seriously affect a dogs quality of life and lifespan. 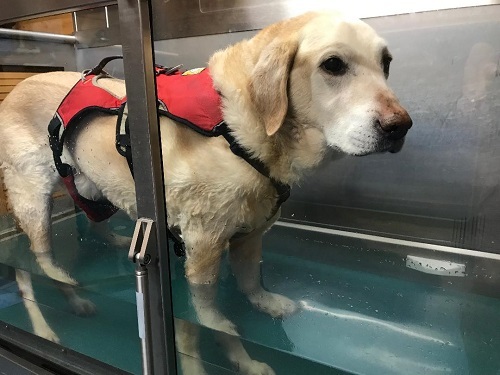 Hydrotherapy has many qualities that can help improve the mobility and quality of life for a senior dog. 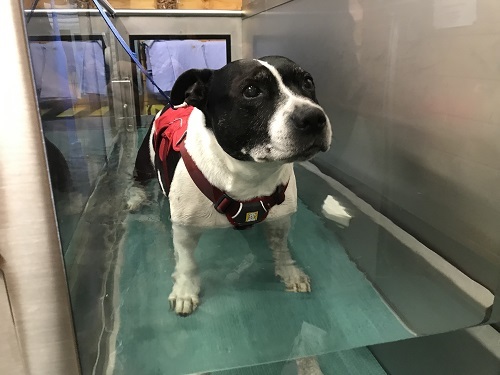 Being in a partially or completely non weight bearing environment, such as the underwater treadmill or the pool, can elevate pain from the joints that will occur as they are put under pressure from the dog’s body weight. Once this discomfort has been removed the dog is more comfortable and likely to use its limbs correctly with a greater range of movement from the joints. The hydrostatic pressure from being surrounded by water helps to reduce painful swelling from the joints and increase the productiveness of the lymphatic system to redistribute fluid around the body. As part of our tailored treatment plan, you will be asked about the dog’s home life and routines which can often have a dramatic impact on their daily condition. We often advise owners to use a resource called Canine Arthritis Management which is designed for both owners and rehab professionals. On their site you will find useful information about how best to adapt your home to suit your senior dog and make them more comfortable. This can include suggestions such as carpet runners on slippery floors, ways to avoid stairs, feeding from a raised bowl and many more. There are also regular product reviews and forums where owners discuss frequently asked questions as well as pass on advice and past experiences. 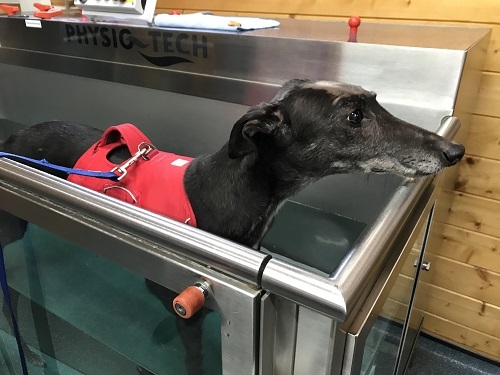 We have seen the impact of how some of these small changes can improve a dogs mobility and comfort first hand and would definitely recommend that owners use these tools alongside hydrotherapy and other modalities for the best outcome for your dog. 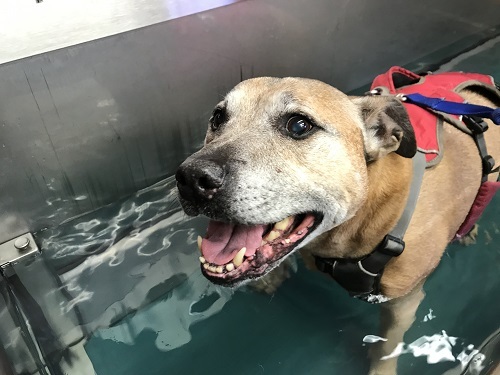 Each hydrotherapy session at Splash Paws is tailored to the individual dog’s needs and aims, whether this to build muscle, reduce stiffness or to increase mobility and quality of life. Your therapist will always be honest with you about how relevant and effective hydrotherapy will be for each patient. For more information and enquires please fill out our contact form and take a moment to visit the Canine Arthritis Management website.